As mentioned in the House of Borgia post, Gennarini is a true mastermind. This comment allows us to illustrate that fact further. I read Di's post and she was referring to St. John 's Seminary as being a "corporate sole" under the leadership of Cardinal Burke which also includes board of directors. What is the difference between this corporate sole and the corporate sole of the RMS here on island is what is being questioned! It's simple. The Archbishop of Agana is A CORPORATION SOLE. The Redemptoris Mater Seminary is not. Here is Article I of the articles of incorporation for the Archbishop of Agana. Note, it says "A CORPORATION SOLE." Here is Article I of the articles of incorporation for RMS. Note it does NOT say "a corporate sole." It says "A Guam Nonprofit Corporation." These are two different corporate structures. And this is precisely what the archbishop's legal counsel warned Apuron about when RMS was set up. He could see exactly what was going to happen and told Apuron so. But Apuron insisted because Gennarini is his master. Less than 10 years later, Gennarini made his move and the property is now in his control. As for St. John's Seminary in Camarillo, it is a school, and like most schools it has a school board. But it does not have a corporate board of directors because it is not a corporation. It remains the property of the Archbishop of Los Angeles, who is a corporation sole. Do you see the difference? St. John's is NOT a corporate entity, RMS IS a corporate entity. This was done intentionally and specifically with malice in mind. Gennarini knew Apuron would not be bishop forever so he saw to it that he would retain control over the corporation and the property no matter who was bishop: first, by separating RMS from the archdiocese by incorporating it separately, and second, by programming in the board of guarantors and its unique powers. Masterful, Maestro Gennarini! Masterful. But then given the dunce of a bishop and his bozo sidekicks, that was easy. NOTE: St. John's is not "under the leadership of Cardinal Burke." It is under the authority of the Archbishop of Los Angeles, who is currently Jose Gomez. He's not stupid. NOTE: RMS cannot be incorporated as a "corporation sole" because a "corporation sole" is an OFFICE not a company or corporate entity. 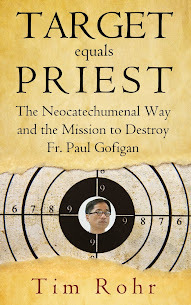 Thus the Archdiocese of Agana is NOT a "corporation sole." Instead, it is the OFFICE of the "Archbishop of Agana" which is incorporated as the corporation sole. RMS is a school, not an office. It cannot be a "corporate sole." If it was, then according to the IRS, it would be a scam. But then it already is for other reasons. LOL. No one has to listen to "the jungle." The jungle isn't saying it. An attorney licensed to practice law on Guam is saying it. Neither Apuron, Pius, or Adrian are licensed to practice law on Guam. If they wish to refute the Legal Opinion of Attorney Bronze then they must also hire an attorney licensed to practice law on Guam and get an official legal opinion. They know the truth though, which is why they don't. So Diana. Put up or Shut up. I will admit that my opinion has no weight since I am not licensed to practice law in this real property matter. This is why I proposed hiring a real attorney to get a real opinion. So now it's your turn. Are you licensed to practice law on Guam? If not, then you're a joke. If you are, then produce a written opinion. Most likely you're just a joke. But then we knew that. Can Atty Jacqui be commenting as Diana?? Whoever it is is screwing things up. Dumb and dumber. Since I was the one who wrote the comment that this post is about, it seems that Di is still sticking to her guns. Guess she is in denial! Do not change the subject. You do not even know for certain if St. John's seminary and the rest of the other seminaries is a corporate entity.. So, do not change the subject. 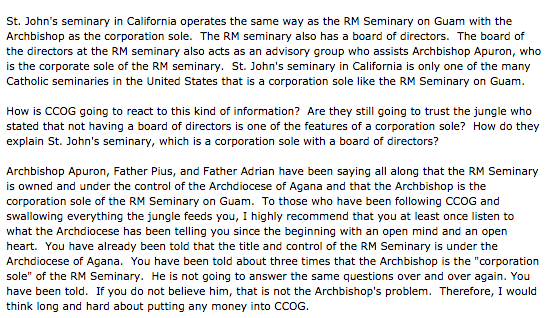 The Archdiocese has been saying all along that the Archbiship is the corporate sole of RM seminary. That is a FACT. Are you denying this fact? Yes or no? It was the jungle who claimed that the Archbishop was a liar on the basis that a corporation sole does NOT have a board of directors. That is a fact.. The jungle has just been proven wrong. How they defined "corporation sole" and their basis was an error. LOL. It doesn't. It doesn't have a corporate board of directors because a corporate sole is not a company or organization. It is an office. Anyway, nothing The Diana says matters. This is attorney level stuff. And so far they have not produced a counter to the Bronze opinion. Attorney level stuff and more importantly, court level stuff. Yes. That's coming. Please donate to CCOG. It's a shame we have use our own money when Apuron will be using the money we already gave him to defend himself. I have to reiterate what Tim said, “Please donate to CCOG.” A donation is not just for getting the property back that rightfully belongs to the diocese and its members, but a donation is for all Catholics and the generations of Catholics to come. Rome does not appear to want to intercede in this matter or in reigning in the actions of the NCW. Only with the publicity of legal action will Rome start to do anything. 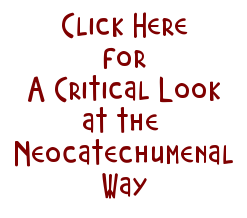 I will probably never visit your diocese but I have chosen to donate to CCOG because I see it as a way to limit the infiltration of the NCW into the Catholic Church. After studying the actions and beliefs of the NCW, I have to worry about my children and future grandchildren, great-grandchildren, etc. getting involved with this cult that has infiltrated the Church. Thank-you to all those who have taken on this battle. Please see this link stating St. John's is not a corporate entity. Come on Diana...put up or shut up!!! Lol. I know we'd all prefer if Diana just shuts up!